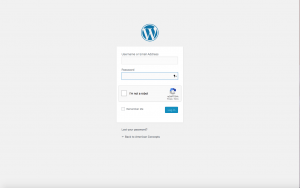 Login to your WordPress account (yourdomain.com/wp-admin) to get to your Dashboard. You should have received your user name and password from whoever did your WordPress installation and/or built your website. Alternatively, if you have access to cPanel, you can also reach your WordPress Dashboard through the software installations section. In the Dashboard, on the left sidebar menu, click Posts and then Add New. You can also get there from the top menu. Click New, then Post from the dropdown menu. Enter the title of your new blog post. Make it catchy and (always) think SEO. Keep in mind that this title will become part of the URL. For instance, your WordPress blog post titled How to Bake Cookies will become http://yourdomain.com/how-to-bake-cookies. This would be excellent if you were trying to rank for the keyword "cookies". In the editor box, start typing your post content or paste text you’ve copied from a Word document, etc. You will feel empowered as you fill the empty space with important stuff! Use this space to talk about your mission, why you started your business, or new products and services you are offering. Speak from your heart. Your current and potential customers will connect with you and value your expert opinion. Keep your message clear and concise and break up blocks of text with relevant images. Most importantly, let your personality shine through! 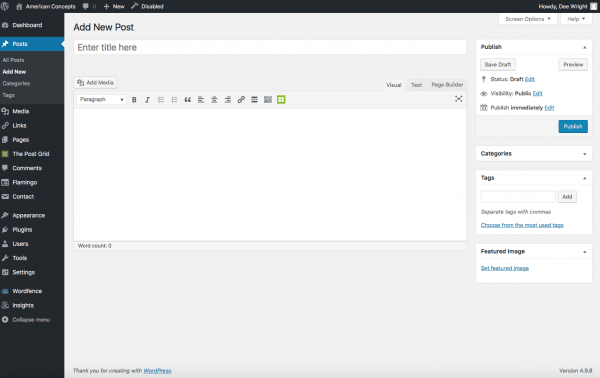 With the WordPress editor toolbar, you can enhance your post by adding the usual text modifications like adding bold or italic text, changing font style or color, adding block quotes, or inserting links. You can add an image or music file to the post in the editor. Place the cursor where you want to insert the image and click the Add Media button above the toolbar. This will take you to the Media Gallery, where you can select a file or upload a new one. Once you have inserted the image, click on it for editing options. You can also make modifications in the code editor. To add a YouTube video to your post, click Add Media and, from the left menu, click Enter from URL. Enter the full YouTube URL and WordPress will take care of the rest; embedding the video in your post. 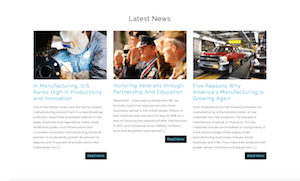 In the right sidebar, click Preview to see what your new blog post will look like. As you're making changes, be sure to Save Draft regularly. WordPress also has a function to let you see previous revisions and restore, if necessary. Once you have the writing and editing done, go back through and check for keywords. Modify the text, where appropriate, to make sure your page content is SEO-optimized. The Yoast SEO plugin is a great help when it comes to making your content search engine-friendly. Finally, when you are satisfied with your work, click Publish and it will be immediately live on the site. The featured image will show at the top of your post. It will be a large image, almost full width. To choose the featured image, scroll to the bottom of the right sidebar and click Set Featured Image. You can add an image from the gallery or upload a new image. Note the image size used in current posts. Your site will have a standard size for featured images and you should crop/resize your image for consistency. To have an image show up on the home page latest posts feed section, your new blog post must have a featured image. In the right sidebar, you can select/add Categories for your post (e.g., news, food, money). You can also add related Tags like political, industry, communication, etc. ; these will also help your new blog post show up in searches. To edit a published post, click Posts from the dashboard left sidebar. You will see a list of your already-published posts. Find the one you want to work on and click Edit below the title. Make your changes and then Update. Your changes will be live immediately. If you want to unpublish a published post, change the post status to Draft and then Save/Update. If you're not already in the post editor, the quickest way to do this is from the posts listing. Under the post title, click Quick Edit. Change the status to Draft, then Update. So, there you have it. You've created your first blog post and you can officially call yourself a blogger. Share your post on social media and drive traffic to your new website. You can even use it to announce a special offer on your Google My Business listing. If you're not ready for prime-time blogging, no worries. Tangerine Web Works offers professional writing and editing services. Simply tell us the purpose of the post/article (what you want to accomplish or what you want people to know) and we'll put together original, high-quality content that will make your website stand out. Call 571-549-4166 to find out more, or you can order a monthly package or request a quote. What Does Copying Website Content Say About You?